Pondicherry commonly referred as just Pondy is located in Tamil Nadu. Positioned on the south-east coastline of India, it is also known as the French Riviera of the East. The charming and mesmerising place lures hundreds and thousands of visitors every year. 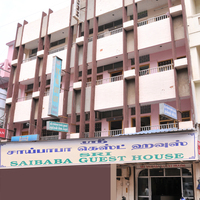 Tourists come here looking for sanctity and serenity and enjoy their stay in one of theguest houses in Pondicherry. Whether you want to book hotels or guest houses, you can find them here easily and select according to personal discretion, budget and availability. It is only in Pondicherry where you can get a very authentic feel of the sophisticated French culture. You can take pictures of the brightly painted houses with bougainvillea that are indeed Instagram worthy. Walk on those large boulevards and cobblestone streets boasting French names. You are sure to come across colonial buildings and gothic churches. Pondicherry has a lot to offer, an authentic French cuisine besides the pristine beaches and serene backwaters. Looking for a suitable accommodation at Pondicherry? There are many staying options in Pondicherry, and guest houses remain the top choice among them because of the comfortable room tariff and accessible handy features. Get ready for a steady experience in one of the most favourite guest houses in Pondicherry. These guest houses are vast in size and located in prime locations in the city. You are never far away from the city center or its attractions like Arulmigu Manakula Vinayagar Temple or the Pondicherry airport. Pondicherry hotels and guest houses are simply perfect for a family vacation. Apart from being budget-friendly, these guest houses are full of amenities. Standard facilities include 24-hour check-in and round the clock room services. Wi-Fi, free parking, cable TV, and air-conditioned rooms are standard for these establishments. Each of those rooms is well-equipped and comes with an attached bathroom. The rooms are clean and the furnishing is elegant and modern. You can enjoy peace of mind after a long day of sightseeing by coming back to a perfect room to unwind and relax. Delicious meals served by in-house cook add to the attractions. Discover exclusive deals at Cleartrip, and all you need to do is browse the website or download the app to stay connected all the time. Just enter guest houses in Pondicherry in the search, and you would immediately see a listing of some great properties and great deals. All you need to do is compare the prices and the deals and settles down for your preferred property type well within your budget. Special offers are available only for participating hotels , and the costs can vary according to daily rates. As the offers and discounts get updated every other day, browse the website on a regular basis to learn about those fabulous offers. When you book with Cleartrip, you not only get an excellent holiday package but make some neat savings too! 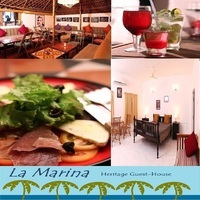 Sri Sai Baba Guest House and La Marina are the most sought after by the visitors as they offer a comfortable experience. Travellers find Cleartrip very flexible and accommodating when it comes to bookings or getting deals. They would allow any changes generously to fit in the needs of the customers. Start your comparison shopping early to enjoy the best selection of guest houses and the great deals for your Pondicherry tour. As Pondicherry is a favourite spot for the tourists, you can expect the best deals to vanish soon. So, hurry and take advantage of our promotions and deals on Cleartrip! Have a great fun experience in Puducherry!